Photos :- With sincere thanks to Enda Burke. Testing the nose droop is in working order prior to the arrival of our guests…. Alpha Charlie and the hangar looked superb! 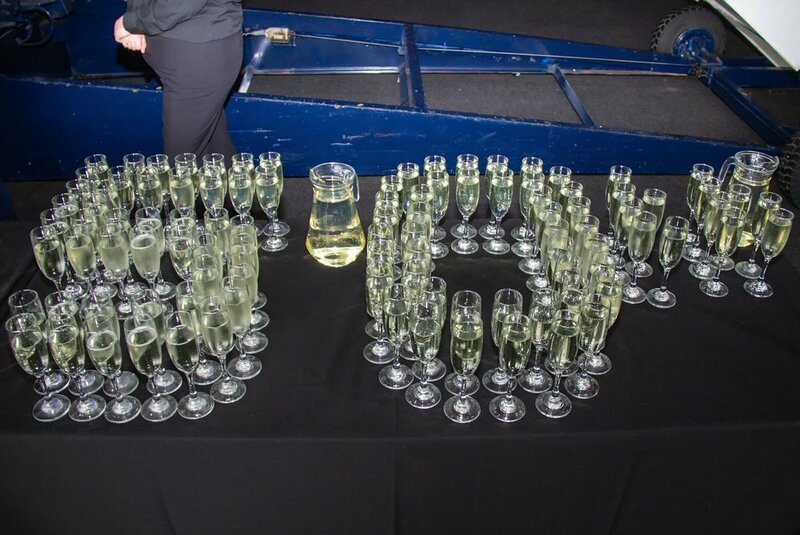 What a way to celebrate the first flight of such an iconic aeroplane. 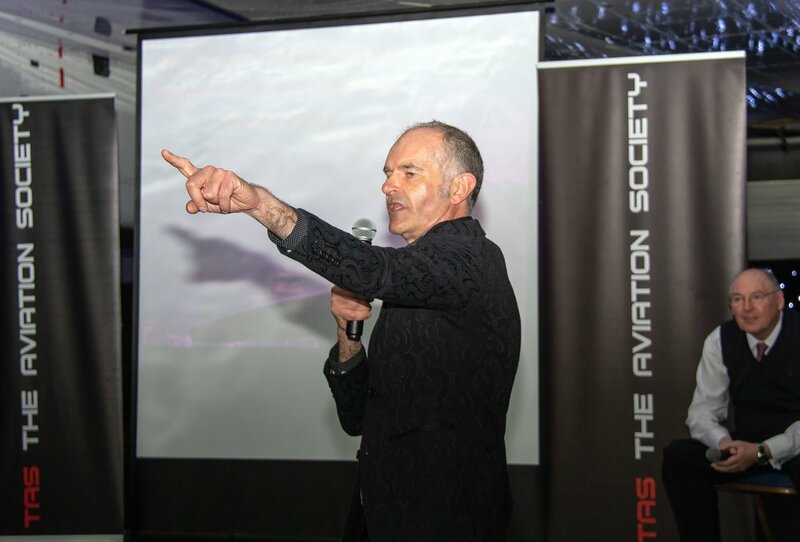 TAS Chairman, Peter Hampson (left) was MC for the event and is pictured being interviewed by Martin from Airliners Live TV. 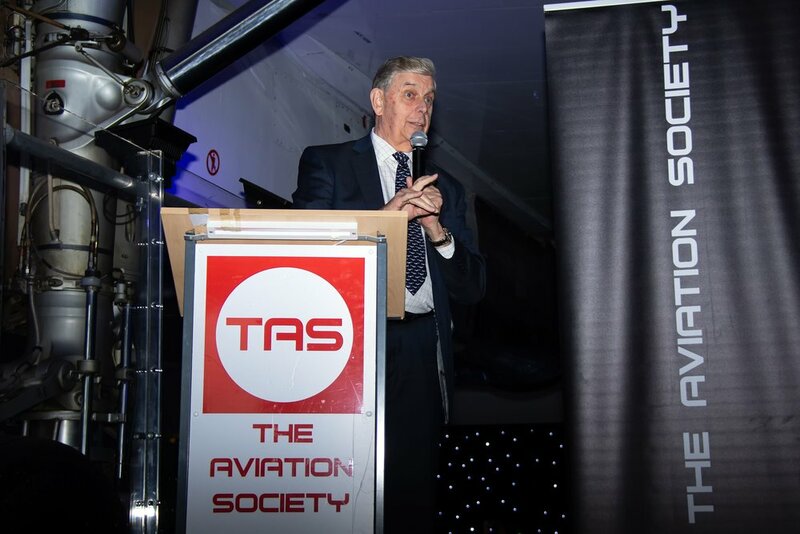 One of our Guests at the event - Rory Mcloughlan, now one of the Senior Managers on the Airports Transformation Project, recalls a fascinating Concorde memory of when he was a Duty Manager (OPS 3) providing a follow me for Concorde on a very foggy day at Manchester . TAS Secretary and one of the event organisers Debbie Riley was kept busy throughout the event ensuring everyone had the opportunity to look on board Concorde and see all the alterations which have been made in conjunction with Heritage Concorde and TAS. Concorde Alpha Charlie was described “as looking as good today as the day he first flew on her” by Fred Finn and complimented all the staff at Manchester for looking after her so well. The Mayor of Altrincham (and the RVP) Ken Garrity was in attendance at the event. Ken described a wonderful story of when he flew on Concorde Alpha Charlie in Egypt. and another drink - of course!! Time to have a nosey on board? I guess this is where the gorgeous old lady starts to show her age? Whats a Flight Engineer by the way? So you think you can just click your fingers after all this time and I will respond do you? Mmmmmm….we will see about that!